Get ready to have the most spook-tacular Halloween party this year for the ghouls and goblins in your life. 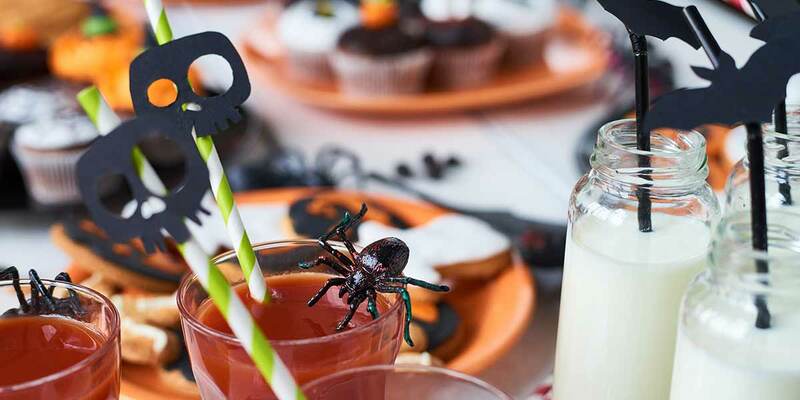 Whether you’re planning a school party or an annual neighborhood bash, these quick tips and ideas will save you time — which you’ll need to brush up on your monster mash moves, anyway. A neighborhood block party — complete with costume parade — is a fun way to promote community. Genius Tip: Creating an online sign up will help you gather RSVPs and organize potluck dishes in minutes! A class Halloween celebration is a fun tradition at your child’s school. You still have time to get organized by recruiting parent volunteers (and snacks) with a sign up. No party is complete without some fun and funny games and activities. We’ve rounded up 30 of our favorites for Halloween that are sure to get promote camaraderie. Keep little stomachs happy by preparing healthy Halloween treats, and stick to your budget by keeping the décor simple. Host a costume party where kids and adults can get in on the fun. These cheap and easy Halloween costume ideas will give you some great ideas. You can even create a costume theme for your party, like “Favorite Historical Period.” Genius Tip: Share a sign up to get an accurate headcount. With a terrifyingly easy planning process, your Halloween events will be creepier and kookier than the Addams family!